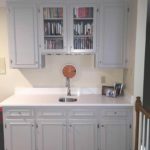 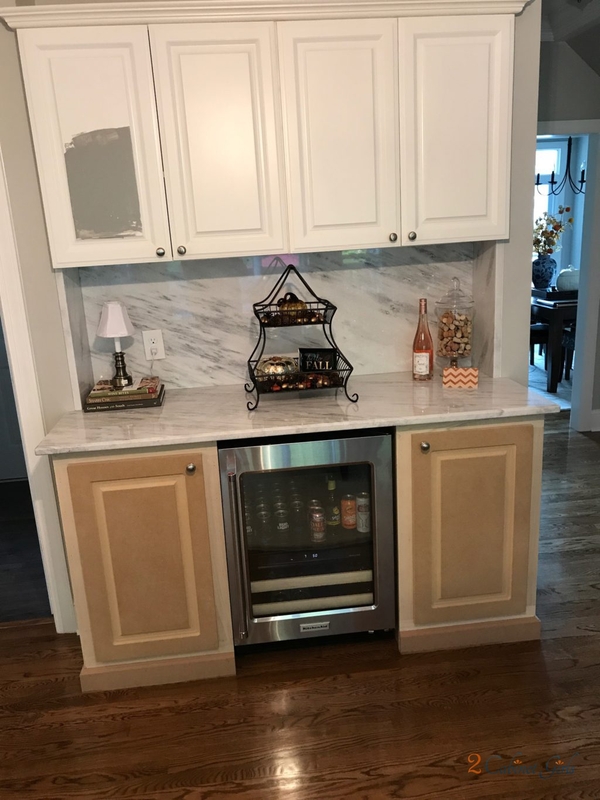 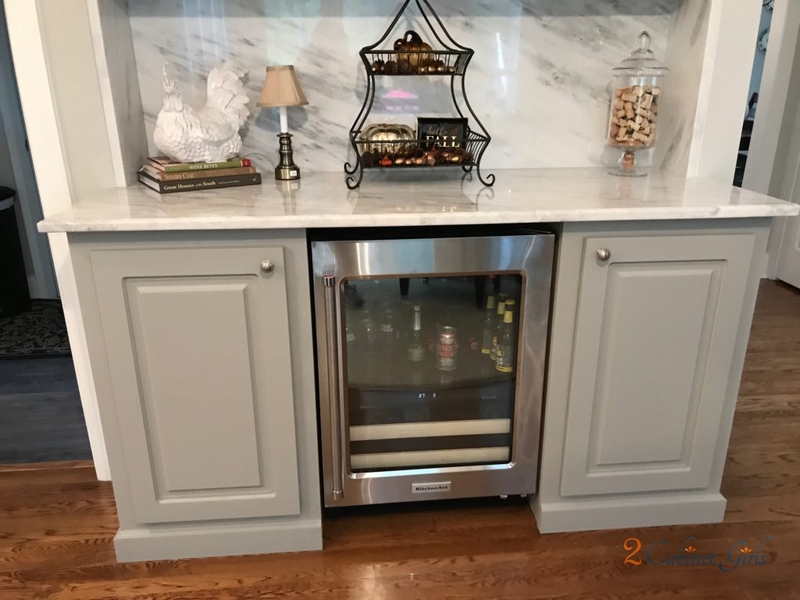 Our customers had just moved in and realized that this overlooked space would make the perfect built-in bar. 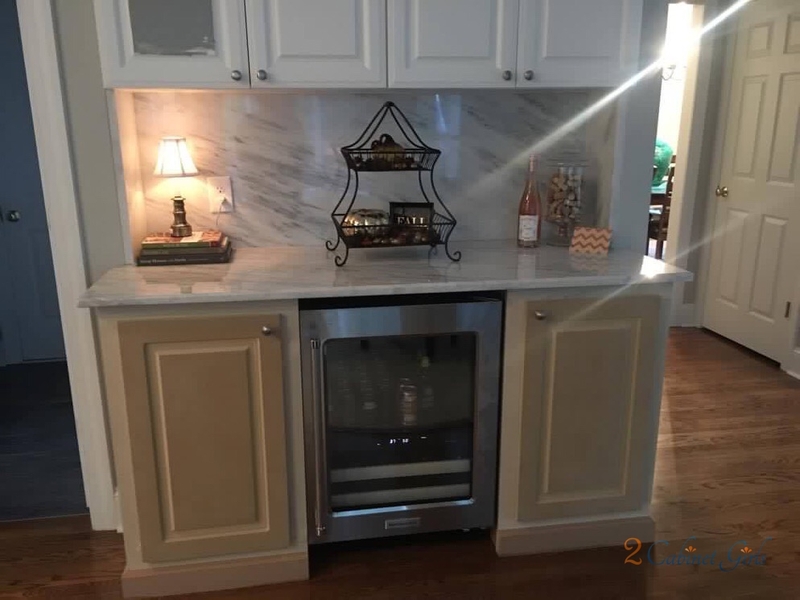 It’s the perfect area for drinks and a coffee bar. 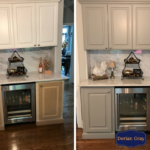 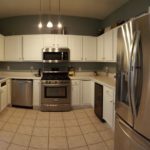 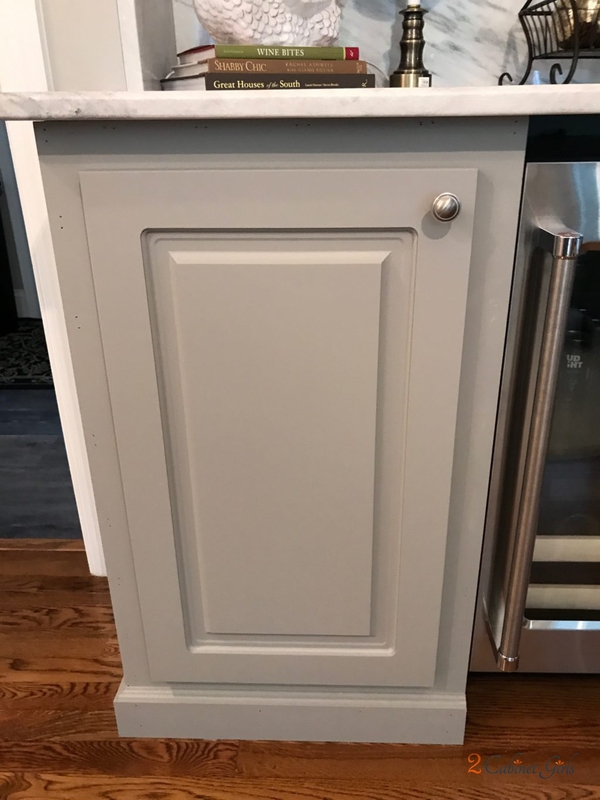 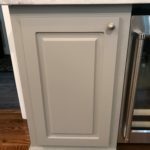 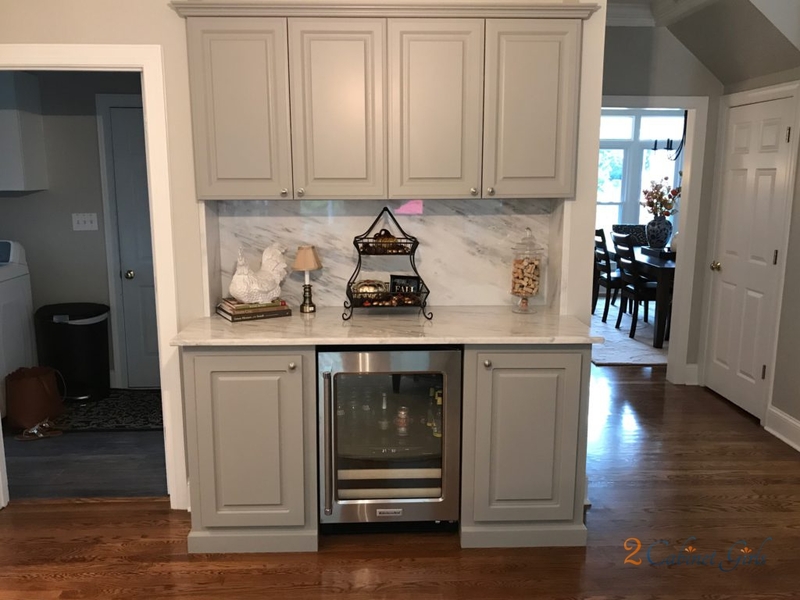 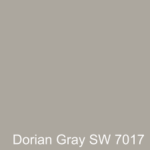 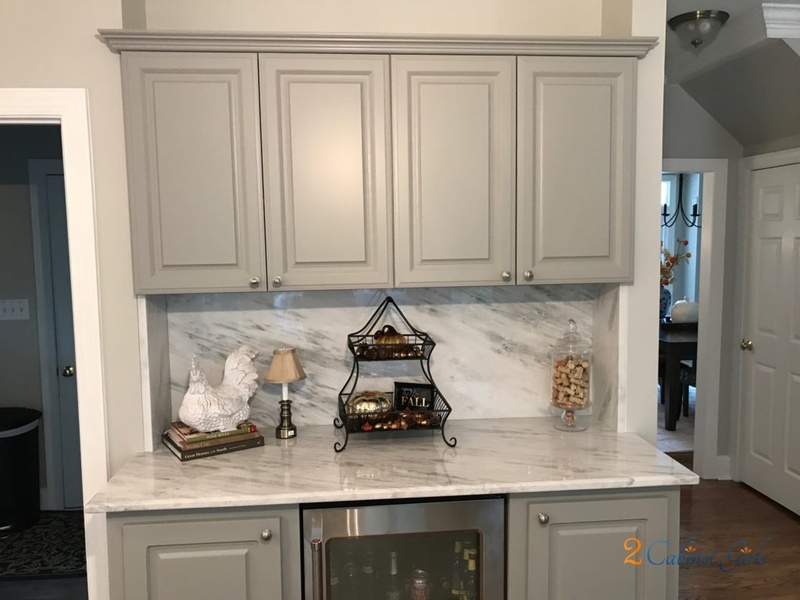 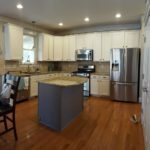 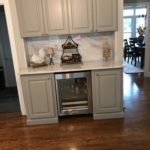 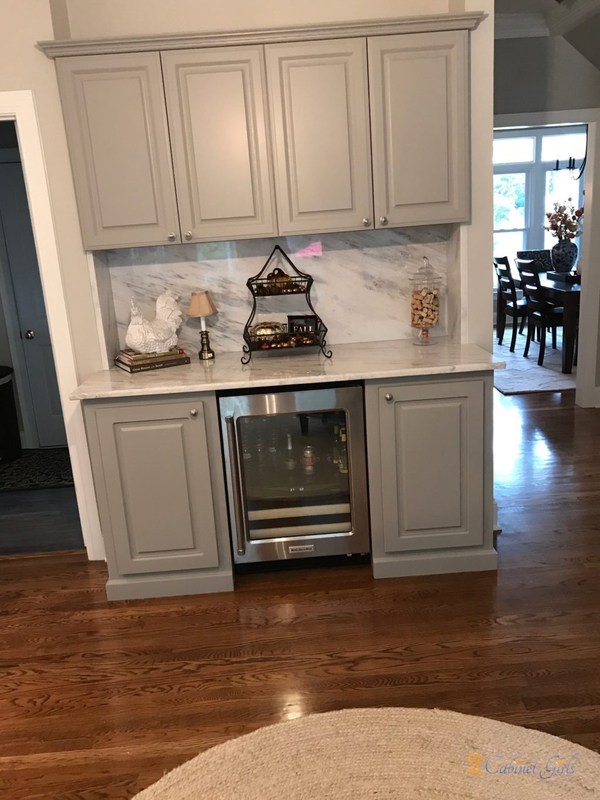 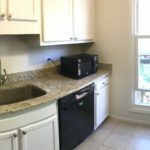 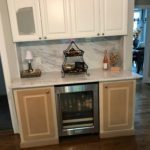 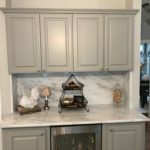 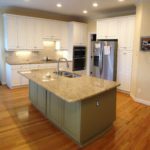 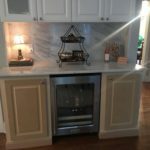 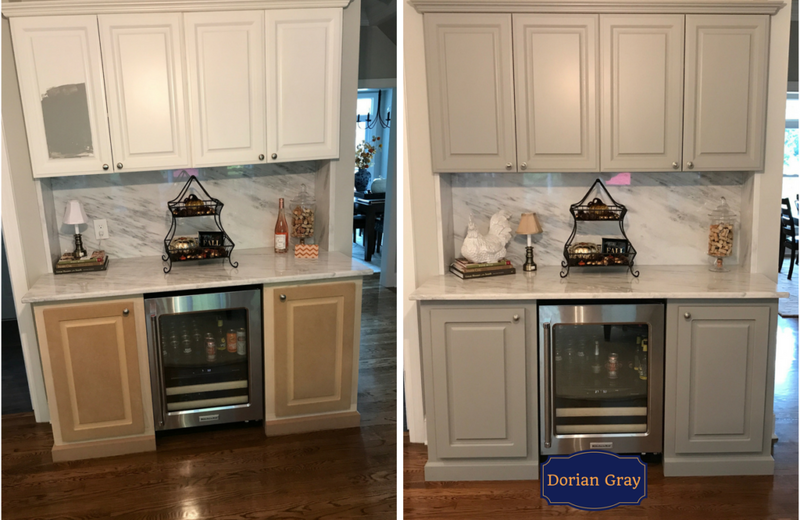 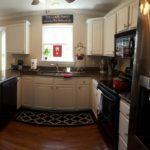 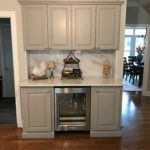 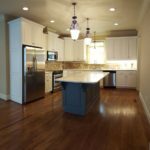 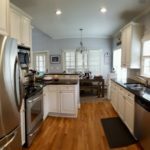 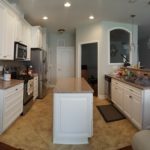 They added the gorgeous new countertop and backsplash, and then we painted the cabinets gray to match. 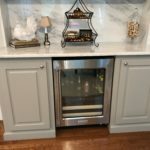 Now it’s a super chic place to grab a drink without clogging up the kitchen traffic flow.